Roel Wouters sure knows how to engage his audiences and make a spectacular crowd-sourced interactive music video. Remember More is Less? Together again with Jonathan Puckey and joined by Luna Maurer to form the fantastic trio Moniker, they direct a swan song for the computer cursor – a function which is bound to be soon forgotten in the ever growing industry of touch-screen gadgets. “After 50 years of pointing and clicking we are celebrating the nearing end of the computer cursor with a music video where all our cursors can be seen together for one last time”, the directors mention on the Do Not Touch site. So if you’re a cursor nostalgic, you don’t want to miss this final opportunity of putting your pointing friend to a test! The increasing popularity of the project might make it more and more difficult to follow the instructions (especially for first time users), but you’ll have loads of fun nonetheless. Find out more details about the making of this promo in our Interviews & Stories section. Roel Wouters sure knows how to engage his audiences and make a spectacular crowd-sourced interactive music video. Remember More is Less? Together again with Jonathan Puckey and joined by Luna Maurer to form the fantastic trio Moniker, they direct a swan song for the computer cursor – a function which is bound to be soon forgotten in the ever growing industry of touch-screen gadgets. 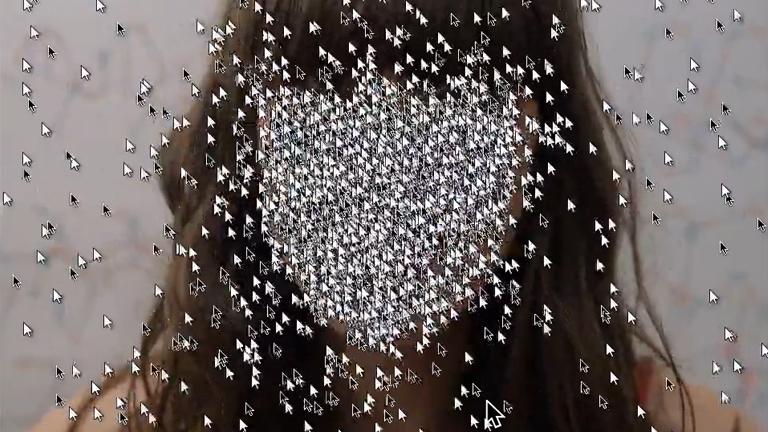 “After 50 years of pointing and clicking we are celebrating the nearing end of the computer cursor with a music video where all our cursors can be seen together for one last time”, the directors mention on the Do Not Touch site. So if you’re a cursor nostalgic, you don’t want to miss this final opportunity of putting your pointing friend to a test! The increasing popularity of the project might make it more and more difficult to follow the instructions (especially for first time users), but you’ll have loads of fun nonetheless. Find out more details about the making of this promo in our Interviews & Stories section.